Dogs can have the same cognitive and memory problems as people so learn what tests your veterinarian can do to detect the Borrelia bacterium. 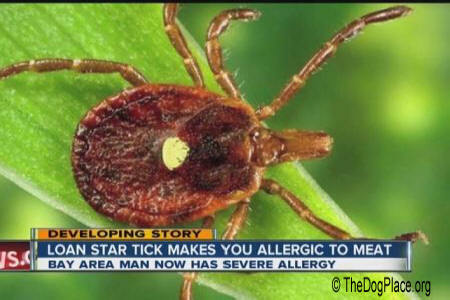 Ticks are everywhere this year and my neighbor’s dog was just diagnosed with Lyme disease even though he got the vaccine! She got a call before we had finished tea and had to leave. I poured another cup, reached for my tablet, and looked up the new Lyme test. The new test is called Quant C6 but there wasn’t much follow-up info after what appeared to be a blast by a couple of big chain veterinary offices... I also found something else that was disturbing. 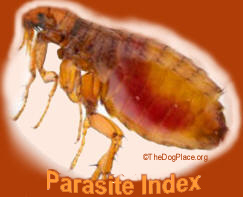 Dr. Richard Goldstein, chief medical officer at New York City's Animal Medical Center said “Once you're infected with these organisms, the chance is you might be infected for life.” Yes, he was talking about both people and dogs. I admit, having had that classic bulls eye rash and been treated for Lyme Disease, I’m concerned about myself but my thoughts turned to back to the animals. It seems they don’t even show a rash, just an “onset of lameness.” In people the classic sign is a red spot with clear circle and a red outer ring. It isn’t like it itches so your dog wouldn’t be scratching. 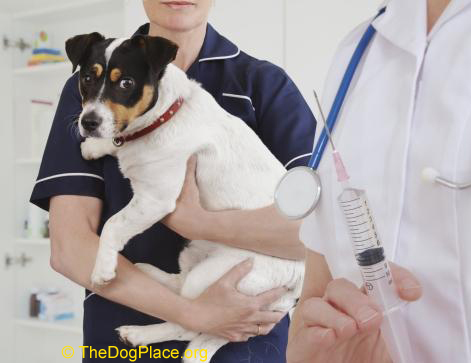 Pets don’t exactly show “flu-like symptoms” and how do you know if your cat or dog has headaches, another Lyme symptom? How Many Human Cases Of Lyme Disease? The CDC says “30,000 cases of Lyme disease are reported nationwide, while studies suggest the actual number of people diagnosed with Lyme disease is more likely about 300,000 cases”. The “pain and stiffness in the joints” should be obvious to any dog owner but several articles mentioned “sleep disturbances” in people who are infected with of Lyme Disease. I gathered that is from night sweats or what we call nightmares. I know dogs dream and run in their sleep but I always thought that meant they were chasing something. I got a chill, thinking it could be from nightmares! I often wake up shaking and most of the time, I just give up and get up for tea because there’s no going back to sleep and I often ache all over anyway. Animals can’t tell us if they are having nightmares but if it is a symptom of Lyme Disease in humans... I kept reading. Well pets don’t drive but make a note if your dog, and especially your cat, seems to “avoid bright lights” particularly bright sunlight. Most house pets will try to soak up sunlight through the windows so if your cat quits basking by the window, it could indicate a problem and he should be checked for Lyme Disease. Oh, and also for low thyroid hormone because both dogs and cats can have thyroid problems. I found several references to heart problems caused by Lyme disease bacteria. I didn’t know that. It is common enough that it has a name; Lyme carditis. That I knew, so as I type this, I’m thinking we should make it a habit to really check our pets at least once a week. Especially inside the ears, I found a photo that was like a day-time nightmare! It didn’t say these were Lyme disease ticks but how could anyone neglect a dog that badly and how did the poor thing stand it? 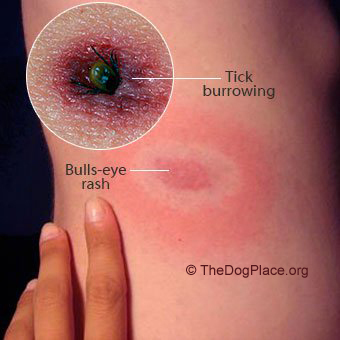 That photo says more than I ever could about checking our pets for ticks! Well I learned a lot online. Like how people got Lyme disease. Infected deer swam from the infectious disease lab on Plum Island to the mainland at Lyme, Connecticut. What I found curious is, well, there was more information about polio than about Lyme Disease even though there hasn’t been a case of poliomyelitis in the states since 1979. I’m sure the staff will find more on this puzzling disease. In the meantime, I’ll let my neighbor know what I’ve uncovered. 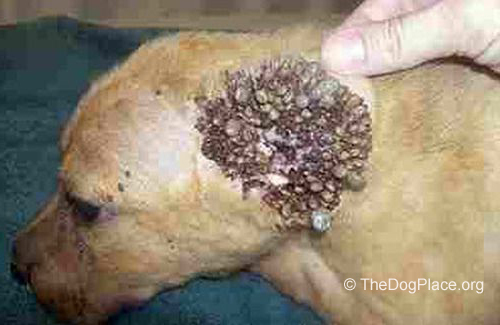 How to detect and treat your dog for fleas, ticks, and worms. attacks the CNS causing crippling, irritation, and aggression.